… he died at the age of 71 from liver disease at his home in Southampton, Long Island after undergoing a liver transplant in May. American rock musician and songwriter Lewis Allan "Lou" Reed was born on March 2, 1942 in Brooklyn, New York and grew up in Freeport, Long Island. His birth name was not Louis Firbanks, a name that was coined as a joke by Lester Bangs in Creem magazine. He learned to play guitar from the radio and played in a number of bands I high school. 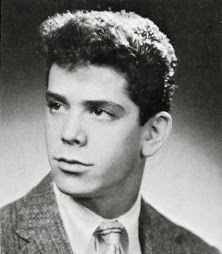 His first recording was as a member of a doo wop-style group called The Jades. Reed enrolled at Syracuse University in 1960. In 1961 he began hosting a late-night radio program on WAER called "Excursions On A Wobbly Rail" - named after a song by pianist Cecil Taylor. The program typically featured doo wop, rhythm and blues and jazz, particularly the free jazz developed in the mid-1950s. Many of Reed's guitar techniques, such as the guitar-drum roll, were inspired by jazz saxophonists, notably Ornette Coleman. Reed graduated with a B.A. in June 1964. Later that year, Reed moved to New York City and began working as an in-house songwriter for Pickwick Records. In 1964, he scored a minor hit with the single "The Ostrich," a parody of popular dance songs of the time. A band was assembled around Reed to promote the recording. The ad hoc group, called "The Primitives," included Welsh musician John Cale, who had recently moved to New York to study music. 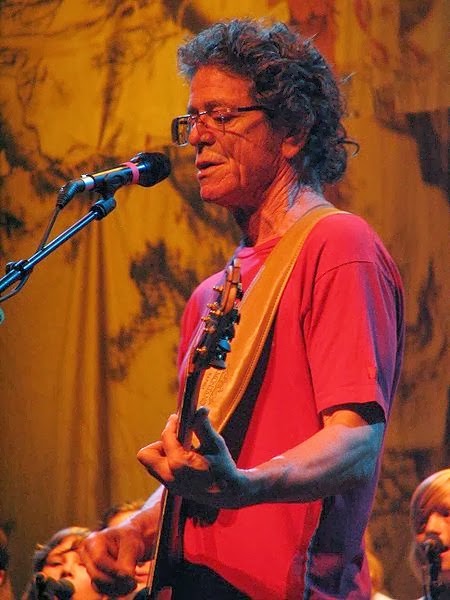 Reed and Cale lived together on the Lower East Side, and after inviting Reed's college acquaintances, guitarist Sterling Morrison and drummer Maureen Tucker, to join the group, they formed the Velvet Underground. Reed was a guitarist, vocalist, and principal songwriter in the band. The Velvet Underground were a commercial failure in the late 1960s, but the group has gained a considerable cult following in the years since its demise and has gone on to become one of the most widely cited and influential bands of the era. 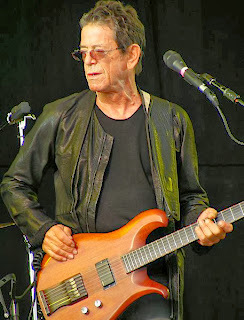 After his departure from the group, Reed began a solo career in 1972. In December 1972, Reed released Transformer. The hit single "Walk on the Wild Side" was an ironic yet affectionate salute to the misfits, hustlers, and transvestites who once surrounded Andy Warhol. In 1975, Reed released a double album of feedback loops, Metal Machine Music, upon which he later commented, "No one is supposed to be able to do a thing like that and survive." Reed was known for his distinctive deadpan voice, poetic lyrics and for pioneering and coining the term ostrich guitar. In 1996, the Velvet Underground were inducted into the Rock and Roll Hall of Fame. 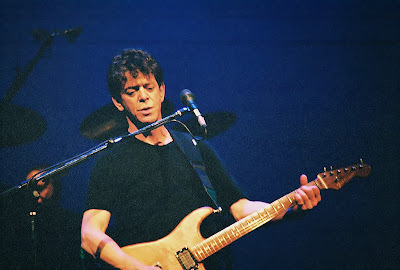 Reed has since been nominated for the Rock Hall as a solo artist twice, in 2000 and 2001, but has not been inducted.